As I approach the 12th anniversary of the tragic loss of my twin brother Bob, it is indeed a time of reflection. While the past few years in my personal life have proven to be difficult, I am nevertheless blessed to be alive and to celebrate my life with two healthy and wonderful sons. Over the years since my brother Bob’s death, I have endeavored to channel his goodness and sweetness and his desire to help others, by making meaningful and sustaining contributions that will benefit students and educational institutions, as my brother was a strong advocate of educational opportunities for children of all ages. 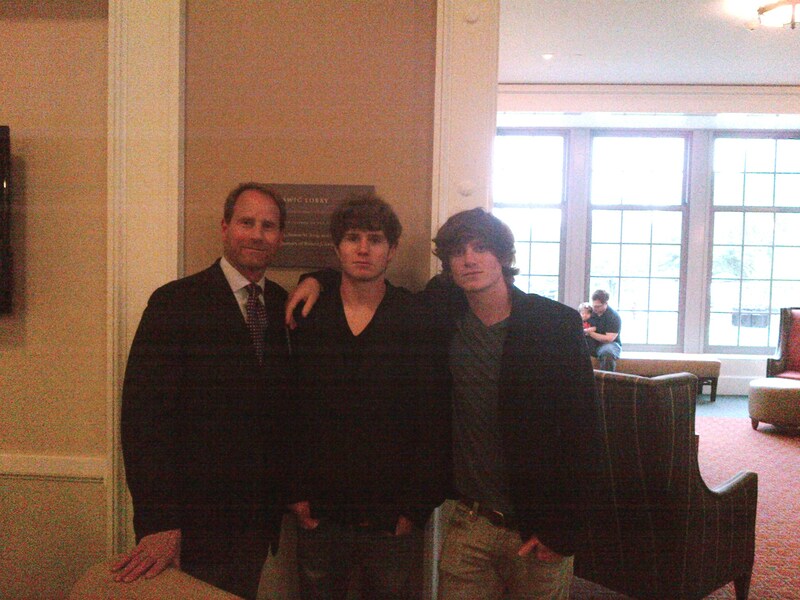 Kent Swig, Oliver and Simon at Brown University. So, through the Swig Foundation, I have contributed to many such institutions, and two in particular. The first was working with Marin Academy High School in San Rafael, California, where Bob attended during his freshman year and from where I graduated. 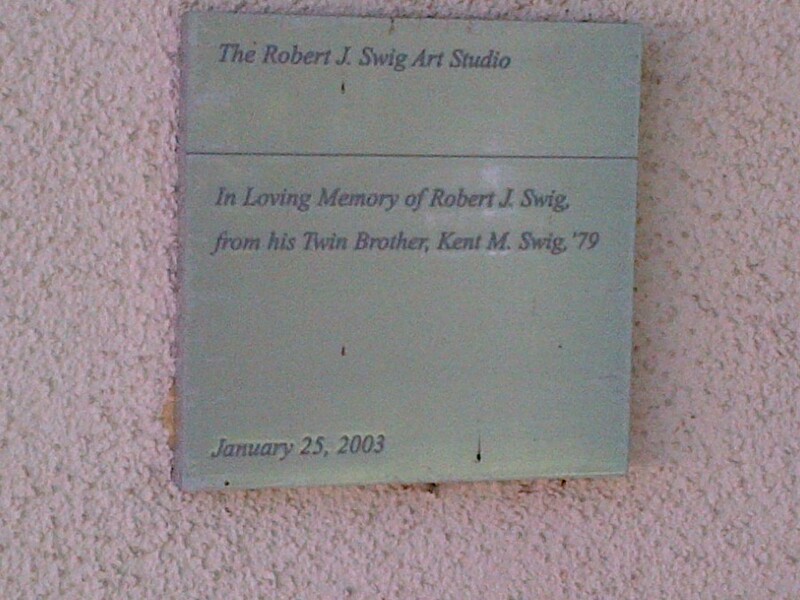 At Marin Academy, I contributed the funds to build the Robert J. Swig Art Studio which was dedicated on January 25, 2003. The building is beautiful and designed to provide students with a state of art facility for their work in the visual arts. I know that my brother would be so proud that this magnificent building bears his name. And, the other contribution was made at Brown University where, just this past weekend on May 25, 2012, I attended the dedication of an incredible sports complex which includes, the Nelson Fitness Center, the Katherine Moran Coleman Aquatics Center, the David J. Zucconi Varsity Strength Training Facility, and the Ittleson Quadrangle. I was thrilled that my two sons, Simon and Oliver were able to attend the dedication with me. At the Nelson Fitness Center, I contributed the funds (through the Swig Foundation) to build the main lobby for the entire complex which is now known as the Robert J. Swig Lobby. This new lobby is at the center of all activity and serves as the gateway to the new aquatics center, the new student fitness center and to the several dance studios and other facilities within the sports complex. Brown students will be able to enjoy lounging in the new lobby, eating snacks, enjoying a health drink and/or just “hanging out”. As the years pass since Bob’s death, I am grateful that I am able to preserve his memory and to continue to honor his goodness and kindness and share that with so many others through these meaningful gifts.